Few wines in Greece (and around the world) have remained the same in their style, unaffected by changes over time. It seems as if they are silent observers, certainly not in a rush, moving at their own pace and seemingly not caring a dime about the developments that take place around them. Even fewer wines are the trademark of a whole region. Those that define the meaning of classic. Naoussa is fortunate to have not one, but two such wines. Naoussa Boutari, the first bottled Greek red wine and Naoussaia Foundi, with that very cult label of a woman in traditional dress that stands out a mile away. 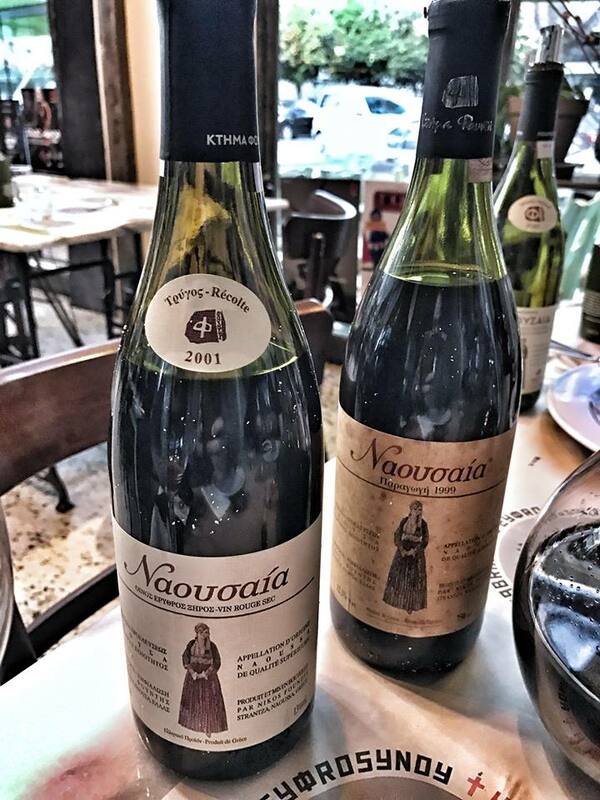 Naoussaia is a wine which is worth our respect; it is the definition of 'traditional' in terms of the style of the region and has changed very little over time. Even its label has undergone the slightest of changes. But, what kind of wine is Naoussaia and how does it develop with age? These are two interesting questions with equally interesting answers. To begin with, I would say that it is a 'traditional' expression of Naoussa; more earthy than fruity and elegant with mild tannins (for a Xinomavro), due to the prolonged maturation in the bottle. It is usually released 5-6 years after harvest. It has been produced since 1992. The production is close to 10,000 bottles a year, but this amount is totally dependent on the whims of each vintage. It specifically expresses the clay loamy terroir of Ramnista in a pristine but not rigid way. Extractions are in the order of three weeks, followed by 12-14 months maturation in untoasted barriques, mostly old, with the new barriques not exceeding 25%. Thus, the effect of oak is more noticeable in the structure on the palate and not in the aromas of the wine. The result is a wine which is quite silky in its texture given the variety, with tannins that have rounded off, and an exciting bouquet of spices, sun-dried tomatoes, bacon and small red fruit. And how well does it age? The truth is that there have not been releases of old vintages of Naoussaia and what is on the market is always the current vintage, for example now you can get the 2012. 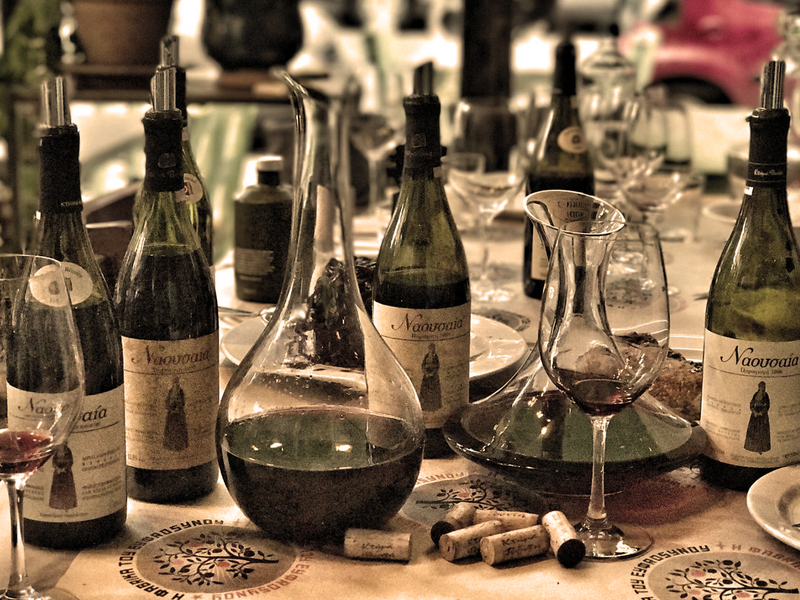 At Greece and Grapes, however, in a nice evening tasting we went back to 1996 and we had a total of five different vintages. Impressions were excellent. Naoussaia is delightful, and the decades of ageing have been courteous to the wines! The 1996 vintage, 12.5% ​​abv, is fantastic on the nose, with iodine, noble leather - what I call Hermes leather, not Monastiraki market leather - blood (no tears and sweat). The palate is still an infant, with tight tannins that will stay that way forever. Classic and aristocratic. The 1998, also at the alcohol level of that time at 12.5%, is an exotic Barolo from the La Morra region (please excuse me there in Ramnista). I copy from my notes ... Wow, Unspittable, Barolo like, exotic. A poem. We continued with the excellent vintage of 2001 at 13% abv. Along the same lines as the 1998, but clearly more lively, with higher acidity and a spicy, almost peppery aftertaste. Wine of power with excellent ageing potential. The 2004 showed the difficulties and challenges of its vintage, as the year was dominated by low temperatures and rainfalls. It is quite green and herbal, with a strong oaky note. It still needs time to find its balance but will be enjoyable. Of classic value. The cherry on top was the 2007! An excellent year without rain. Dense nose with skin, earthy perfumes, tea and a wonderful palate, with gripping tannins. Wild at heart! Naoussaia is a wine made of metal and solid Xinomavro. Typical, with tannins that bite in their youth; a wine which transforms over time from the duckling into a lovely coloured swan.